The Smithsonian Institution has one of the finest collections of American quilts in the country, and its origins are fairly representative. Just before 1900, a group of textiles from the Copp family of Stonington, Connecticut, was given to the museum by John Brenton Copp III. Among the pieces were the first three quilts to be housed in the museum. This was not, in today’s sense, a collection, but actual family pieces used between 1750 and 1850. They were typical of the household goods and clothing of a prosperous but not wealthy family from New England. 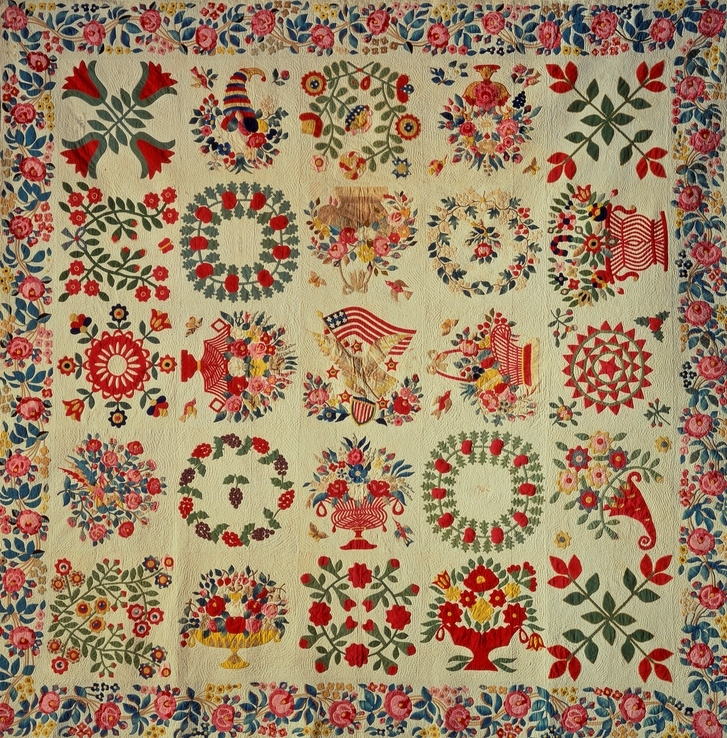 The Museum of American Folk Art has a fine quilt collection. The D.A.R. 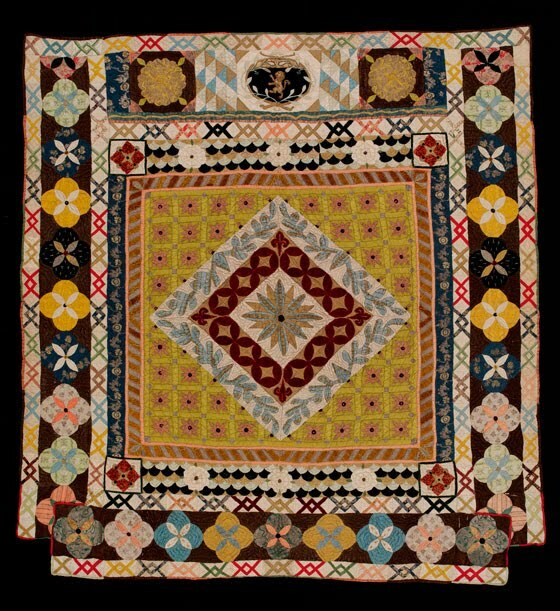 Museum in Washington, D.C., is also proud of a collection of mostly Early American quilts. The Valentine Museum in Richmond, Virginia, has an extensive textile collection, including many quilts. Museum that offer a total immersion in Americana certainly must include quilts. Three of the best-known of these are the Shelburne in Vermont, Living History Farms in Iowa, and the Henry Ford Museum and Greenfield Village, outside Detroit. State museums often have fine quilt collections. 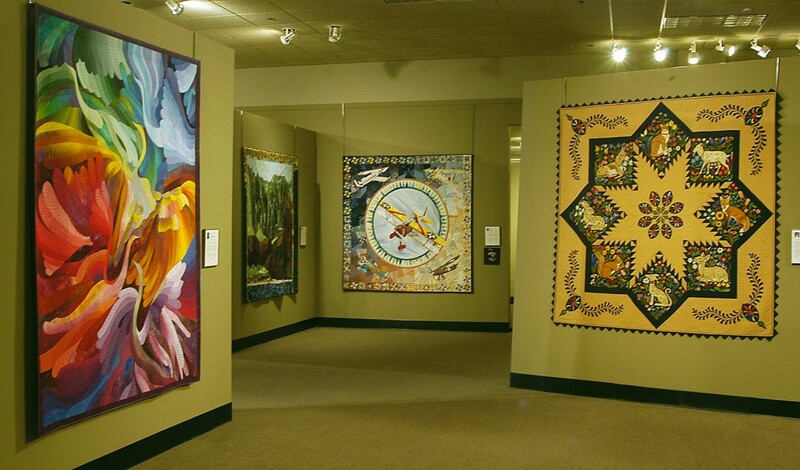 The Indiana State Museum and the Minnesota Historical Society have well documented collections showing the quilts of their respective areas. The trend for the future in state and local museums is to concentrate on those quilts made by or connected with local families. 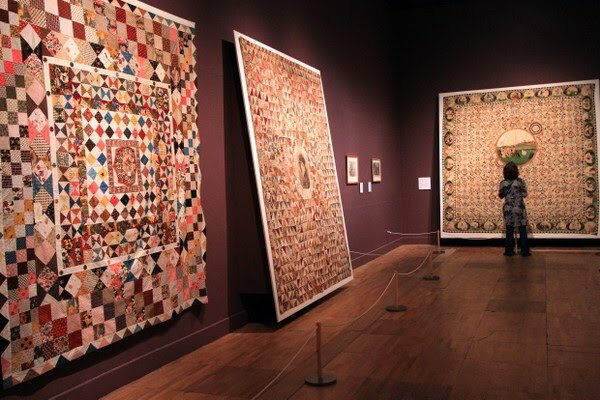 There are several museums in England that house major quilt collections. 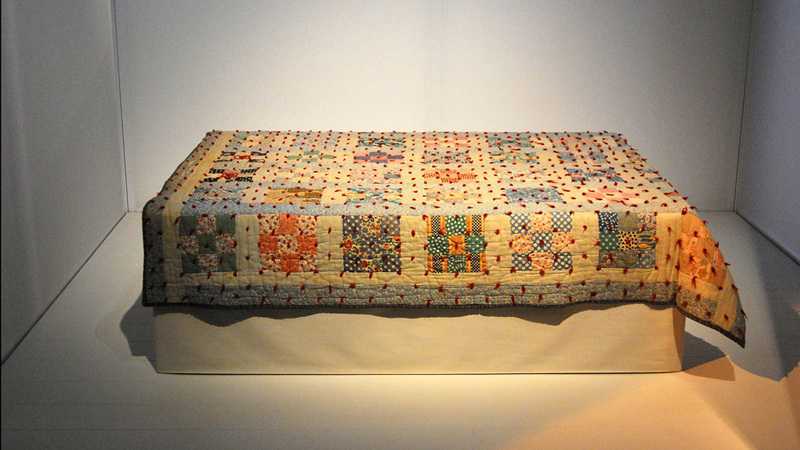 Interestingly, one of these is composed entirely of American quilts – the American Museum in Bath. The Victoria and Albert Museum has the finest collection of English quilts and other textiles, not to be missed by anyone interested in any form of textile art.There is also York Quilt Museum and Gallery, which holds a unique collection of quilts and related artifacts from around the British Isles dating from the earliest piece in the collection the 1718 Silk Patchwork Coverlet. 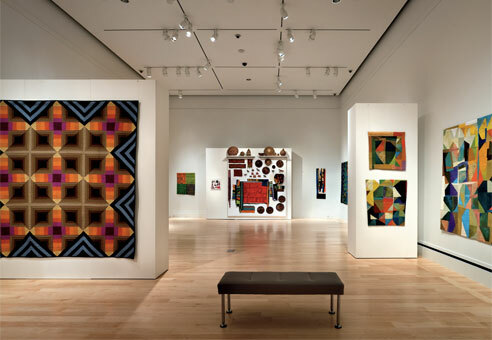 Several art museums have quilt collections. Three that are justly proud of theirs and often have them on display are the Denver Art Museum, the Museum of Fine Arts in Boston, and the Baltimore Museum of Art. Some art museums starting collections are searching for examples of specific quilts. In recent years, three museums devoted entirely to quilts and quilters have been founded, one in the East and two in the West. The newest is the American Quilt Research Center, a division of Los Angeles County Museum of Art. Also in California is the American Museum of Quilts and Textiles in San José – some parts of the collection is always on display, and the museum also houses travelling collections. The New England Quilt Museum in Lowell, Massachusetts, is new and depends largely on touring shows and loans, though they have a small but growing permanent collection and a good collection of books and research material. 1997 was opened the International Quilt Study Center and Museum at the University of Nebraska–Lincoln in Lincoln, Nebraska, and it is now the home of the largest known public collection of quilts in the world.